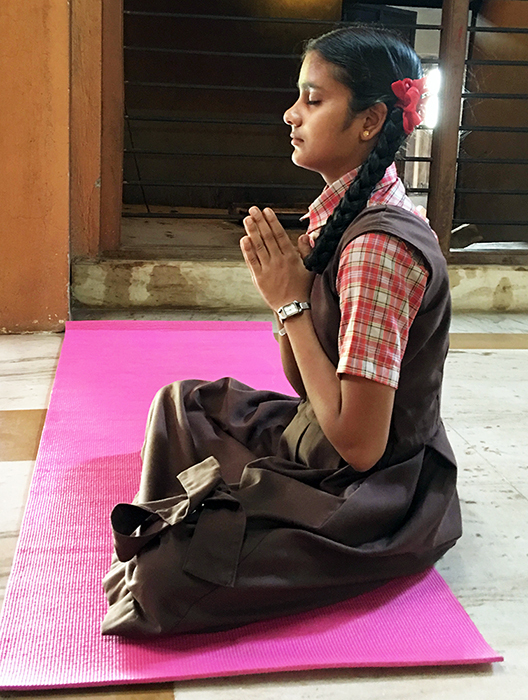 Help us continue our charitable project in Ganeshpuri, weekly yoga classes for 2,500 schoolchildren and women’s groups. One Headmaster wrote to us, saying we are “helping students to develop their personality, vigor, flexibility and confidence,” at Saraswati Ganpat Patil Vidyalaya at Kelthan Tal Wada. 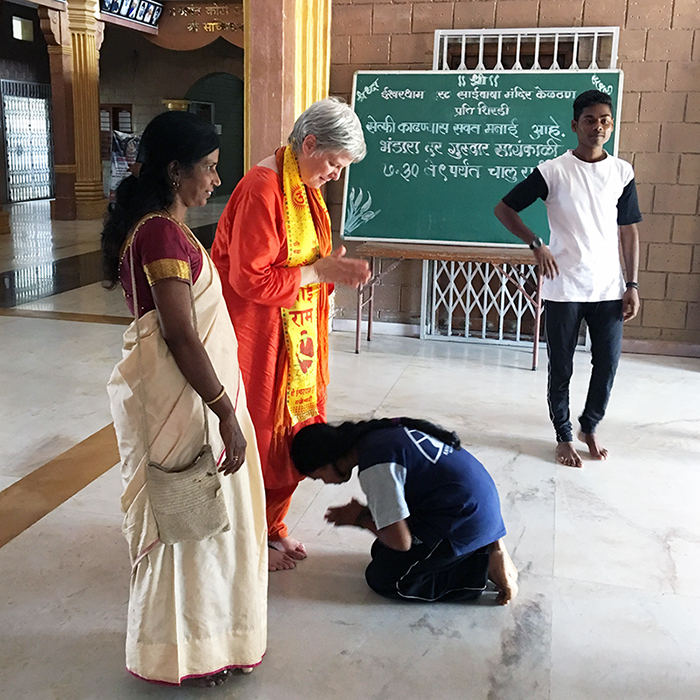 In his letter of thanks, he affirmed, “Children in this school are healthier, less stressed and concentrating better on their studies.” His is one of many schools served by the Ganeshpuri Yoga School in the Tansa River Valley. We began in May 2016, with two full-time teachers, and have now expanded to four. 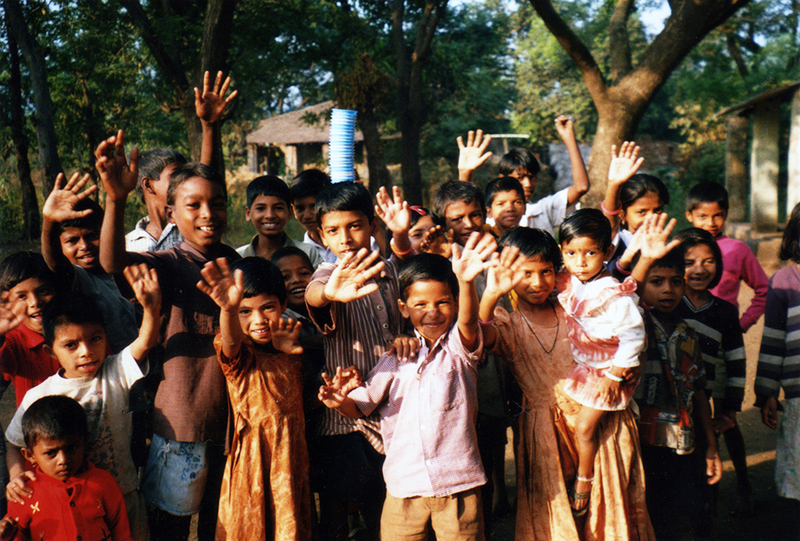 Our teachers serve Adivasi children in public schools as well as women in local Education & Empowerment groups. Adivasi are indigenous jungle dwellers, subsistence farmers who live in and around Ganeshpuri, the home of our lineage. Caste-less, outside mainstream Indian culture over thousands of years, they have been unaware of yoga. This tribal community has had “…very limited access to infrastructures that are commonplace in the city,” (Fire Mountain Retreat article). Yet adverse elements of modern urban life are unfortunately beginning to threaten this people. Fire Mountain programs, including the Ganespuri Yoga School, are in place to help. 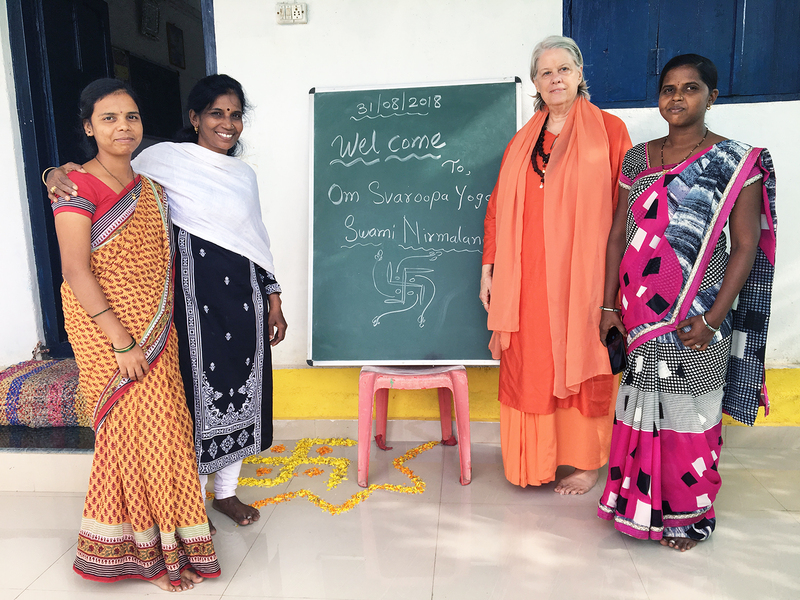 SVA provides the salaries of the four yoga teachers and their supervisor along with funds for expenses. This includes fuel and maintenance for their two motor scooters, already purchased by SVA. Two on a scooter, teachers travel to a dozen venues weekly. Classes average 150 students, with some as high as 250. The benefits of yoga to the Adivasi are already apparent. As a member of the SVA community, you are integral to this transformation. 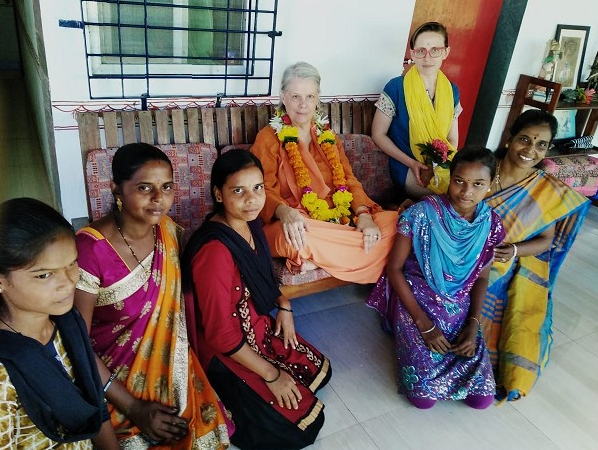 Please consider a dedicated donation to support our India charitable program. India’s yoga tradition, which enriches your life, has been hidden from the Adivasi. When you donate, you are “paying it forward” through their children. To ensure funds for the coming year, please help us meet our $5000 goal. Your generous contribution, of any amount that fits your budget, goes into a dedicated account. To donate to the Ganeshpuri Yoga School, please click here.